While every instance of substance abuse is unique, there are similarities, and they aren’t pretty. Thankfully, The Salvation Army’s Adult Rehabilitation Centers run on the sentiment that “man may be down but he’s never out.” And despite feelings of misery, despair and hopelessness, the Army’s path of spiritual, emotional and physical transformation can bring a man from his lowest point to a point of confidence, self-esteem and eternal salvation. Here’s a story of someone closest to the program, and how it changed his life. Born in India to a good family, Harry always felt a sense of loneliness. He would spend hours alone on his veranda at home, focusing on nothing specific, but falling further away from connection with his parents and sisters. Soon after getting his first job at the U.S. Embassy in India, Harry started drinking with friends. At first his parents chided him, but they eventually grew silent, and Harry assumed it was because they had accepted his lifestyle. He met his wife, moved to the United States and started a new life with her, working for the U.S. State Department. Despite his professional success, the joy he felt while traveling for work and even being blessed by Mother Teresa, his drinking and loneliness continued. “God was always knocking at the door, but I never paid attention,” Harry remembered. In time, he learned that his wife’s silence about his drinking was not due to her acceptance of it. She went to Greece for an assignment and asked him not to come, later filing for divorce. He said she realized she was happier without him. What caused his career downfall was when Harry made an open comment about top secret information while at work and under the influence of alcohol. He lost his security clearance, and ultimately his job. Two years later he found himself financially, mentally, physically and spiritually bankrupt, and he tried to kill himself. 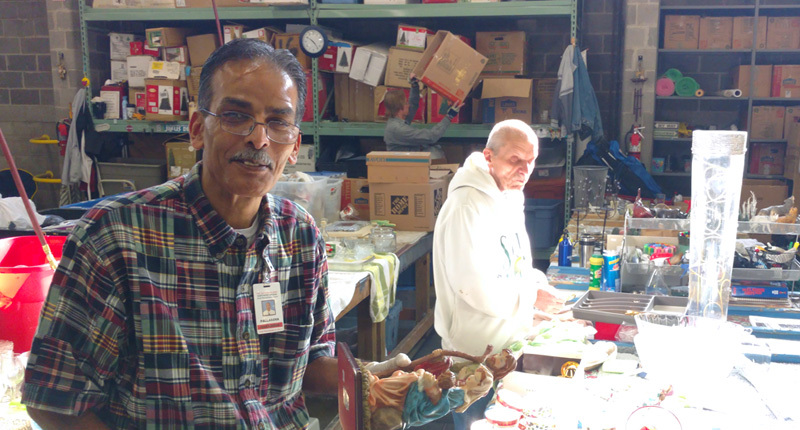 Four years later, Harry is an employee of The Salvation Army, working as supervisor of the “Bric-a-Brac” (miscellaneous objects) and Housewares Department in a Salvation Army Donation Center and Family Store in Northern Virginia that moves more than 10,000 items every day. He’s getting ready to move on. He has everything lined up to move into his own apartment in the coming weeks, and the blessing of the ARC to back him up. To learn more about The Salvation Army’s Adult Rehabilitation Centers, or to read and watch more stories of people whose lives changed through the help of The Salvation Army ARC, go to SATruck.org. 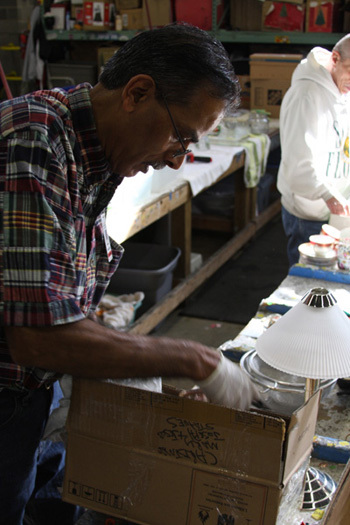 You can also find the nearest Donation Center and Family Store in your community, make a donation or schedule a pickup.